In most cases, day trading seminars are the equivalent to really expensive (albeit live-action) YouTube videos. What this means for traders is that the same information and strategies being used and taught in most of these seminars can be found, for free, on common sites like YouTube. In a recent experience, I came across a seminar which charged $3,600 for a six-hour introduction class. Further research showed the class’ curriculum covering general market facts alone. What these students did not receive was any information whatsoever on how to trade. There’s a reason these seminars have the negative reputation that they do. The entire seminar model itself is basically ideal for scammers and should immediately trigger multiple red flags. Show up in a town for a couple days. Collect lots and lots of money. High-tail it out of town with no real way for unhappy customers to contact you. Can you think of a better scam? A company’s pricing model directly reflects how it intends on maintaining its future relationship with you. For example, if a company charges you everything up front, chances are there’s a high amount of risk involved in the product. If the charges are incurred on a monthly basis, chances are the company is banking on you being satisfied with the product. Trading educators that charge monthly fees generally offer a higher level of support and concern for your success. To put it simply, if you’re not successful, they stop making money. Tip: Be cautious of large up-front costs. You’re Clear on Day Trading Seminars, But What About Books? Books remain a great, inexpensive educational resource for those looking to learn about the markets. Unfortunately, if a trader wants to actually make money in the market, it requires a lot more (even for the most avid readers) than simply reading some material to get started. Another issue with these books is how quickly they become outdated. With trading platforms and software evolving so rapidly in recent years, books on a specific subject become useless if more than two years old. Tip: Avoid books surrounding a specific trade strategy that are more than two years old. In my experience, I’ve found the most beneficial reading material for traders often has nothing to do with the actual act of making trades. Instead, books dealing with psychology and mental readiness in trading have made the most difference in my trading. Many traders believe this aspect of trading to be irrelevant. In contrast, I believe it to the driving factor behind 75% of your trading success. Tip: Not a big reader? Listen to the audio version in the car or at the office. We’ve Covered Day Trading Seminars and Books. What About Video? It’s easy to see technological advances in education, television and digital media becoming more and more interactive by the day. Due to this, videos are becoming a faster, more efficient way to consume trading education material. However, prior warnings in this chapter still apply. This may seem obvious, but if you come across a system that doesn’t include education videos in its curriculum, it’s likely outdated and faulty. This is clear indication of the system as a whole. As we previously discussed, there’s more free trading education videos on YouTube and other streaming sites than you can imagine. But know the information in these locations can be repetitive, and even incorrect at times. If you’re diligent in your research, it will quickly become clear to you which video sources are reliable. 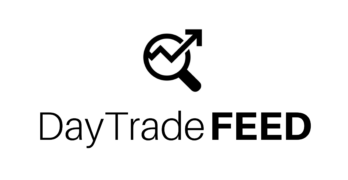 Here at Day Trade FEED, we have a specific way of choosing which seminars have the correct information to incorporate into our day trading system. After years of research and trial/error, we’ve found some really great seminars that provided information that would fit perfectly into our trading system. We determine this by making sure the information is a good fit for traders using Kevin Jones Day Trading Indicators. Traders have been using these indicators for more than 20 years, and so far they’ve worked perfectly for us in our trading. If you’d like to learn more about Kevin Jones Day Trading Indicators or how they work in our trading system, contact us! We were also careful to make sure these seminars were safe, reliable and properly vetted prior to receiving our endorsement. To receive a list of Day Trade FEED’s picks for Quality Day Trading Seminars, contact us or fill out the form below. This article is only part two in a series aimed at helping day traders understand what mistakes to avoid. Subscribe below to be notified of future editions. DISCLOSURE: While these methods may have worked in the past, past results are not necessarily indicative of future results. While there is a potential for profits, there is also a risk of loss. A loss incurred in connection with trading foreign exchange currency contracts can be significant. Carefully consider whether such trading is suitable for you in light of your financial condition since all speculative trading is inherently risky and should only be undertaken by individuals with adequate risk capital. While researching trading systems, many traders run into different strategies that are obviously going to fail. I recently had an experience with an education company claiming to have made hundreds of thousands of dollar with it’s own proprietary trading system. For a fee, the company was willing to teach me this strategy via their own education system. If someone decides to make a trade, what do they stand to gain? What do they stand to lose? If a company was fishing for a good testimonial, but couldn’t actually deliver on its low-risk guarantees, could it inflate results to mislead consumers? One of the main ways a company can inflate results is through what is called a hedge. A hedge is an opposing trade of equal value that offsets any profits or losses accrued by a previous trade. So, if a trader sets up two accounts, places a buying trade with one and a selling trade of equal value with the other, they are hedging. The profits of the first account will even out the losses of the other and only the winning trades are displayed. This is only one of the many ways these “educators” are enticing customers to use their programs. Remember that if you only see a couple of trades on a statement, it’s likely faulty information. Now, let’s say you see a statement with over 100 profitable trades. Your first instinct may be to trust the system. However, it’s important to make sure a stop loss was in place before going with this instinct. Traders with millions in their account are able to trade the market on the smallest level with no stop loss. This means they are able to hold onto their trade regardless of which way the market swings. This isn’t how a typical trader attacks the market, so why would you want a system that isn’t tailored to fit realistic trading parameters? In these systems that don’t use a stop loss, one bad trade can outweigh more than the 100 good ones and wipe out an entire account. The typical trader would have a stop loss set and an exit strategy in place. Make sure these are part of your trading system if you haven’t already. There is no such thing as a perfect trading system. It is impossible to trade without taking at least a few losses here and there. Another issue that has been seen is the lack of continuing education surrounding margin. Some education systems even purposely leave margin curriculum all together. This allows the company to show flexibility in their system when a trader is margined out and is looking for someone to blame. Margin requirements should be clearly and thoroughly taught before the trader experiences it with a loss. A good way to spot margin issues with a trading system is to make sure margin requirements match up with stop loss positions. If the margin would kick a trader out far before the stop loss, it may simply just be an oversight by the educator. However, if they get this basic step wrong, what other compromising practices will they teach you? The final topic to be discussed relating to entries and exits is how long or short to make them. When identifying an exit strategy, remember that almost every strategy has many variables going into the equation. This can make it hard to plan ahead, which is why some educators determine their exit strategy at random. For new traders, it’s important to focus on the winner-to-loser ratio instead of the length. If this ratio is profitable, it shows the system works regardless of its exit strategy. At a certain point during their day trading education, each beginning trader finds themselves at a crossroads.The choice facing them? Whether to choose a scalping method (short exits and stops) or a long term strategy (long exits and stops). The main thing to consider when making this decision is whether you’re financially capable of practicing this method in your trading. Many think scalping involves less financial commitment than long term trading. However, the truth is the exact opposite! Personally, we suggest trading short term systems. The uncertainty of world economics, along with unsteady market conditions in recent years make scalping the safer choice between the two. This is due to the limited amount of time spent in the market as opposed to long term trading. Here at Day Trade FEED, we have a specific way of choosing which entry and exit strategy to use in our day trading system. After years of research and trial/error, we’ve come up with a great way of determining this and adopted it into our trading system. We determine this using Kevin Jones Day Trading Indicators. If you’ve been exposed to trading for less than two years, most still consider you a “begging trader.” Every trader has made their way through this awkward phase. It can almost be considered a right-of-passage. But while each trader has to go through it, each trader also has to overcome it. If you currently fall into this “begging” category, please understand that merely signing up to use trading software is not what will help you find success moving forward. Simply knowing basic indicators and how to buy and sell does not make you a professional trader. While this software can be a vital part of trading strategies, it should never make up the entire strategy on its own. What type of returns do you expect to see if you’re only using free indicators and trading tips? Instead, these resources are best used in addition to other resources that make up a trader’s personal strategy as a whole. As you begin your search to find the best set of trading indicators, you’ll likely find only a few reputable companies offering proficient systems compatible with modern, updated charting software. Some of these companies even customize their indicator software for individual customers. It’s important to remember that while this sounds like a perfect scenario, success can never be guaranteed. That being said, these companies can at least help you come closer to finding a way to replicate results. There are countless trading companies offering basic indicators that have been around for a long time. These include Moving Average, MACD, Bollinger Bands and Fibonacci Retracements. However, advanced traders consider these to be “lagging” indicators due to how easily it is to take advantage of traders who use them. Another issue with these “lagging” indicators is a slower response time to the signal. This is because many advanced, savvy traders have built upon them to create and innovate modern methods to stay ahead in the game. This can be frustrating for “begging traders,” but the truth is that even with custom-designed indicators, replication is still a distance off. Traders may see consistent success, but it’s near impossible to develop indicators that can replicate specific trades based on specific market conditions. The true success of a trading system can be measured and replicated only to the point that others are willing to test its validity. Fibonacci’s retracement principles are now common among traders. These principles have been rebranded often for sales, but the main function remains the same. Some of these attempts to rebrand include Pivot Point, Prediction Points, Sing Marks, Buy/Sell Levels, Trade Levels, etc. Watch out for these old and free techniques rebranded as modern when developing your own system. All warnings aside, Fibonacci’s tools can greatly benefit traders if used correctly and in addition to other resources. There are enough uneducated traders willing to “donate” their money to the market. Let them. Some traders use trading announcements as the deciding factor on each trade. Making trades based on the assumed market reaction to currently unfolding events is likely the oldest trading strategy there is. However, it may also be the most dangerous. The issue with trading announcements is inconsistency and unpredictability. Many have witnessed announcements with similar context to past announcements, but significantly different results. Some of these announcements can be traded on their own (slam dunks). But remember that it can take years before a trader is experienced enough to differentiate between market reactions. Just like other tools, announcements can be beneficial when used in addition to their other indicators. Making trades based solely on these announcements can pay off, but the numbers are against anyone making the attempt. It is perhaps most difficult to find a trading system based on actual results. You may find systems that work with announcements and others that work with indicators. The question to ask yourself is if they are making money. This question may be harder for you to answer than you realize. It is best to take testimonials with a grain of salt. There are some outlying trading companies that even claim to base their trades on the moon’s gravitational pull. Even these companies will have testimonials from “clients” who claim the system works for everyone. It is likely you’ll experience at least some success in each system you encounter. This success is common and hard to take with a grain of salt. But to truly avoid the scams, make sure to do your research. Give each system you experience the time and preparation necessary to determine actual credibility. Here at Day Trade FEED, we use a specific set of indicators in our day trading system. After years of research and trial/error, we’ve incorporated Kevin Jones Day Trading Indicators into our trading system. This article is only part two in a series aimed at helping day traders understand what mistakes to avoid. Subscribe for future editions. Before we show you our day trading results, we always make sure to explain exactly which trades these results are coming from. As we trade throughout the day, we record our trade results to post later on. These trade results come from all kinds of different strategies, including ONIT trades, SAT trades and normal daily trading. When we say “ONIT,” we mean the Overnight Impact Trade. Similarly, when we say “SAT,” we mean the Sunday Afternoon Day Trade. The ONIT is made Monday through Thursday, usually around 3:00 p.m. MST, and the SAT is a similar trade, but only made on Sunday afternoons. The trades are forex trades, and are placed on the EUR USD. Each trader simply sets the trade and forgets the trade each day, and watches the profits roll in. 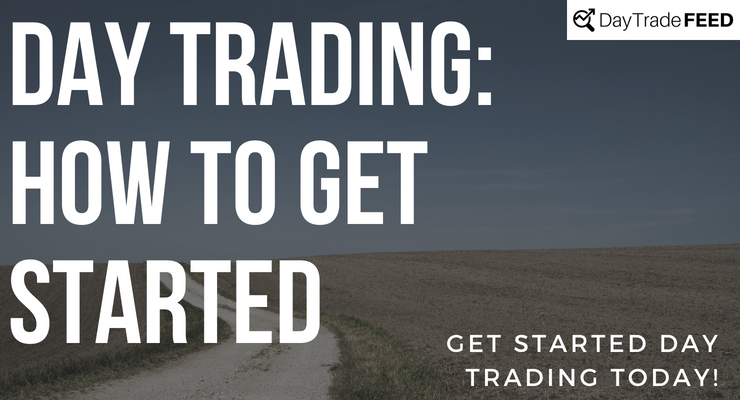 Many traders swear by these trades, and this is one of the only places you can find them! To learn more about this daily trade, contact us! Placing these Overnight Impact Day Trades, Sunday Afternoon Day Trades or regular day-to-day trades would have made you $250 during the month of July. Placing these Overnight Impact Day Trades, Sunday Afternoon Day Trades or regular day-to-day trades would have made you $400 during the month of July. Placing these Overnight Impact Day Trades, Sunday Afternoon Day Trades or regular day-to-day trades would have made you $550 during the month of July. Placing these Overnight Impact Day Trades, Sunday Afternoon Day Trades or regular day-to-day trades would have made you $800 in the month of July. Placing these Overnight Impact Day Trades, Sunday Afternoon Day Trades or regular day-to-day trades would have made you $1050 in the month of July. Placing these Overnight Impact Day Trades, Sunday Afternoon Day Trades or regular day-to-day trades would have made you $1200 in the month of July. Placing these Overnight Impact Day Trades, Sunday Afternoon Day Trades or regular day-to-day trades would have made you $1350 in the month of July. We are Day Trading, Forex and Futures specialists, and love all things day trading! You can find more information on day trading education systems by contacting us! Want to be notified when we post our day trading results? Subscribe below! To begin, think about what is going on in our current day. We live in an era where technology is advancing exponentially, and it seems, at times, as though computers are taking over the world. But are computers REALLY taking over the world? Foreign exchange (forex) markets recently saw a spike which caused the greatest change in the history of the Yen. Experts attributed this failure to robotic trading, which lost millions in the market due to faulty code. This, along with countless other examples, show us that the human brain is more capable than even the most advanced computer in existence. And even when computers become more advanced than the brain (experts believe this to be only years from now), humankind still possesses something computers do not: the ability to evolve, adapt and change. Fortunately, the computer is not a living species, nor does it respond well to change. A human mind would have stopped the execution of the trade or the continuation of losses. And just as the world witnessed during the aforementioned fall of the Yen, a robot could not. What good is developing a trading tool or system if there is no continued education or support to follow? How does this help you increase your advantage by responding to change? When the market first began, certain candlestick patterns began to emerge. We know these patterns as Dojis, Hammers, Hangmans, etc. Traders that were able to recognize these patterns and understand how they’d affect the market moving forward were able to adapt and innovate old techniques to make millions. The rule of supply and demand in economics is very clear: if something is profitable, demand for it will increase. If demand increases, supply decreases. So, what does a trader do with their old, outdated system when it becomes less profitable? Some began their search for the next “golden goose,” while others refine their system with updated data and adapt to the circumstances now before them. This is why continued education is critical to the success of traders. Today, there are still traders who use candlestick patterns when determining the best trades to make. The difference is this is not all that goes into their decision. The data from these patterns is combined with current market conditions and other trading strategies to form a more consistent, reliable system. Is Your Day Trading System (Support/Education) Affordable? Now, what if a trader uses an updated, elite system, but the infrastructure behind support and continuing education within that system is not affordable? Unfortunately, this is a common trick of the trade. Many traders lose their first trade without even trading. How? By paying too much for the initial education and education materials to continue through the growing pains that come from learning to trade. If a trader pays $3,500 for trade coaching, but their trading system only yields $4,000 per month, chances are the remaining $500 will be used to pay their broker. Another issue many traders see is that they’ll lose money while they learn how to handle losing money. There are a lot of trading businesses that shirk all accountability immediately following a student’s graduation from the program. So when a beginner starts to see a trade go upside down, they have nowhere to turn for assistance. This lack of support causes many to panic and make rash, emotion-filled decisions while trading. Making these decisions can cause bad habits and practices to form. This is why it is absolutely critical to make sure a trading program offers sufficient support and continued education before taking the plunge and joining. In conclusion, ensuring these first two items (support system and continued education options) are integrated into the core of your trading system is absolutely essential. You may find a program that lacks in these areas, and it may be a challenge to walk away. But being confident in these areas will help you find success throughout your trading career. In order to determine whether support and education moving forward will be sufficient, ask yourself if the education is actually education and not just information from past market trends. Many teachers and coaches will claim their continuing education to be worthwhile, when really it merely consists of ancient information from a past generation of traders. To truly grow as a trader, continued education needs to be current, driven by live data, state-of-the-art and relevant to today’s markets. This means live webinars, online meetings, etc. While older strategy and information can still be relevant, updating their trading system is necessary to stay profitable as market conditions shift and evolve. This article is only part one in a series aimed at helping day traders understand what mistakes to avoid. If you’d like to be notified when future articles like this are published, subscribe below. Until future parts are released, check out our Should I Day Trade? and Introduction pages. Have a question about choosing a day trading system, continued support/education or just day trading in general? Contact us! Later that night, Traore went home to continue learning about what it’s like to day trade futures on a demo account. Like many beginners do, he went on to push the limits of the trading software. After all was said and done, he had lost more than a million dollars. After finding himself more than one million dollars in the hole, Traore realized he wasn’t using a day trading futures demo account. In contrast, his account was very real, and he was in a pickle. But instead of alerting the authorities or the company he was trading with, Traore decided to continue trading to see what he could do. Traore began day trading futures, and eventually found himself building up a $5 billion position in U.S. stock futures. He went on to turn his loss into a profit of about $11.6 million. At this point, he called Valbury Capital, who immediately claimed breach of contract. His winnings were declared void immediately. Traore is currently suing Valbury Capital for the $11.6 million. The case is ongoing and may move to France in the coming months. Interested in learning more about day trading? CLICK HERE! Want to know if you have what it takes to day trade? CLICK HERE! Find out how much we make day trading by checking out our day trading results! Have a question for Day Trade FEED? Contact us! Many traders swear by these trades, and this is one of the only places you can find it! Placing these Overnight Impact Day Trades, Sunday Afternoon Day Trades or regular day-to-day trades would have made you $150 during this time. Placing these Overnight Impact Day Trades, Sunday Afternoon Day Trades or regular day-to-day trades would have made you $400 during the final two weeks of June. Placing these Overnight Impact Day Trades, Sunday Afternoon Day Trades or regular day-to-day trades would have made you $650 during the final two weeks of the month of June. Placing these Overnight Impact Day Trades, Sunday Afternoon Day Trades or regular day-to-day trades would have made you $900 in the final two weeks of June. Placing these Overnight Impact Day Trades, Sunday Afternoon Day Trades or regular day-to-day trades would have made you $1150 in the final two weeks of June. Placing these Overnight Impact Day Trades, Sunday Afternoon Day Trades or regular day-to-day trades would have made you $250 in the month of June. Placing these Overnight Impact Day Trades, Sunday Afternoon Day Trades or regular day-to-day trades would have made you $500 in the month of June. Placing these Overnight Impact Day Trades, Sunday Afternoon Day Trades or regular day-to-day trades would have made you $750 in the month of June. Placing these Overnight Impact Day Trades, Sunday Afternoon Day Trades or regular day-to-day trades would have made you $1,000 in the month of June. Placing these Overnight Impact Day Trades, Sunday Afternoon Day Trades or regular day-to-day trades would have made you $1150 in the month of June. Placing these Overnight Impact Day Trades, Sunday Afternoon Day Trades or regular day-to-day trades would have made you $1300 in the month of June. Placing these Overnight Impact Day Trades, Sunday Afternoon Day Trades or regular day-to-day trades would have made you $1,450 in the month of June. Placing these Overnight Impact Day Trades, Sunday Afternoon Day Trades or regular day-to-day trades would have made you $1,600 in the month of June. Day trade my money. It’s as simple as it sounds. Day Trade My Money Myth: You Must HAVE Money to MAKE Money. Before we dig into Day Trade My Money, we should explain exactly how the company came up with this program. While the overall trading group has definitely grown and matured into its current state, there have been a lot of changes made throughout its history. But for the duration, the one theme that has always been consistent is that their traders have had unmatched success from the very beginning. This success comes from their tried-and-tested educational program, support group and at this point almost legendary indicators. They noticed that as traders would start out, they’d usually start with a smaller account ($1,000-$5,000) that they were trying to grow between one and five percent each day over months and even years. While this strategy works, it can be a very slow and tedious process, leaving many traders unable to stay motivated in their trading. The Day Trade My Money Program solved this day trading issue by concluding that mentor-funded day trading accounts were the answer. When they tested their theory, they started out slowly in order to feel out exactly how it would work. But very soon after the program’s inception, it became incredibly clear that they were on to something big. Now the program is absolutely destroying expectations, with traders seeing higher returns than ever before, and they couldn’t be happier. The program is pretty much as simple as it sounds. Those who enroll in the day trade educational program, complete all the required coursework and show consistency in their returns will become eligible to take part in the program. Once selected to participate, each trader is given a funded account to trade. Trade profits are split up, with between 60 and 80 percent going to the trader. The rest returns to the account pool. Perhaps this will help you understand better. If a corporate-funded trader makes two percent on a $10k account, the trader will take home $120 for that day’s trade. The remaining $80 in profit returns to the account pool. We really mean it when we say if you invest in yourself, they’ll do the same. To learn more about the Day Trade My Money Program, visit DemoDayTrading.com and watch their Program Details video. In conclusion: Day trade my Money.? You won’t regret it. Above all, one of the main reasons we started Day Trade FEED was to help teach people how to start day trading. Many people aren’t able to find good information on the subject simply because of a lack of knowledge on where to go. Others find too much information too quickly and become overwhelmed or burned out in a short amount of time. If you fall into either of the categories above, continue reading below to find the beginning steps to help you learn how to start day trading. The hard way to start day trading is to attempt the journey alone. Many people make the attempt, but flame out almost instantly. In contrast, many decide to join some sort of day trading educational group that helps them get everything in order before starting to trade live money. The reason this is the hard way is because the hardest part of learning how to day trade is knowing where to find correct and accurate information. Many potential traders try to find their information on different investment websites, but unfortunately, these sites are too vague to hold any real value. Chances are that if you’re viewing this site, you’ve been exposed to all kinds of day trading programs. Typically, these programs involve large networks of people who share common trading strategies and belong to a trading group. As previously mentioned, the easiest way to start day trading is to find the program that’s right for YOU. These educational programs can help you get started and seeing profitable trades in a matter of months! GIVE IT TO THE HIGHEST BIDDER! The fact of the matter is that if we’re being totally honest, one of the ONLY ways to day trade is to join one of these groups. Fortunately, that makes it so much more simple! Here at Day Trade FEED, we know finding the right program for you can be tough. That’s why we’ve decided to go over some of the best day trading educational programs and make recommendations! Keep visiting Day Trade FEED throughout the upcoming week to see our top five day trading educational programs! In the mean time, if you have any questions or want to hear our recommendations a few days early, contact us today!